The track on this level is a grade of about 1.5% that ascends to 4 inches above the bench grid. The portion of this track that passes under the upper level track (colored magenta) in the lower right hand corner is hidden in a tunnel. The siding is at the approximate the mid point of the main line. 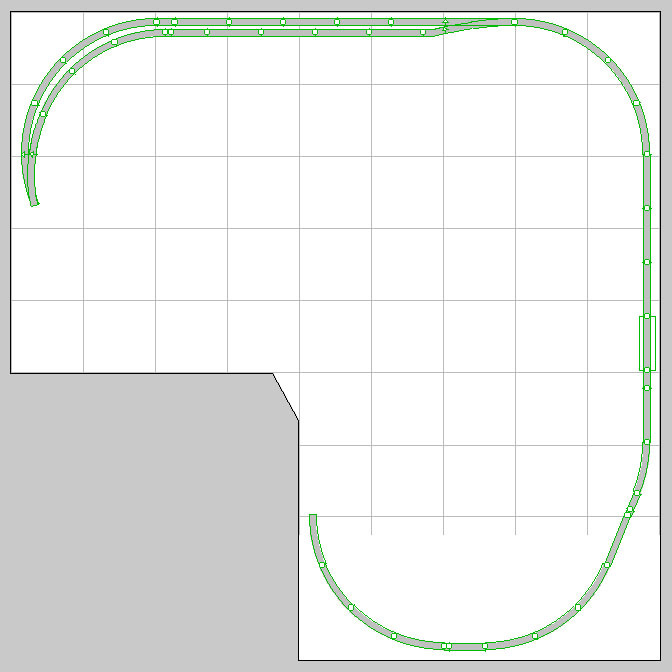 This track is electrically isolated into three sections for occupancy detection; each siding track and the single track.